The Working Group 10.4 on Dependable Computing and Fault Tolerance (WG10.4) of the International Federation For Information Processing (IFIP) announced today, at it's Summer meeting, that it has elected Professors Cristina Nita-Rotaru as its newest member. 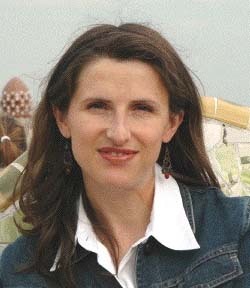 Nita-Rotaru is a Professor of Computer Science in the College of Computer and Information Science at Northeastern University. Prior to joining Northeastern she was a faculty in the Department of Computer Science at Purdue University. Her research lies at the intersection of information security, distributed systems, and computer networks. The overarching goal of her work is designing and building practical distributed systems and network protocols that are robust to failures and attacks while coping with the resource constraints existent in computing systems and networks.